Arkansas Code: Title 18. Property > Subtitle 2. Real Property > Chapter 16. 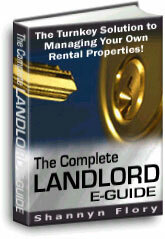 Landlord & Tenant. Arkansas Bar Association Small Claims Court Pamphlet - If you have a client whose dispute and damages are less than $5,000.00, small claims court may be the route he or she should take. The "Small Claims Brochure" outlines the steps necessary to effectively and efficiently file a claim. The pamphlet has been recently revised to reflect legislative changes made by the 1997 General Assembly.